DangerousMagnets - C025015_Diam 2.5 mm x 1.5mm. N52. Qty120 for sale! • 2.5mm diameter x 1.5mm thick. • Grade: N52 - the strongest! • Pull/Push: About 150 grams to another magnet or to 0.4mm sheet steel. Resistance to sliding is about 1/3 that. 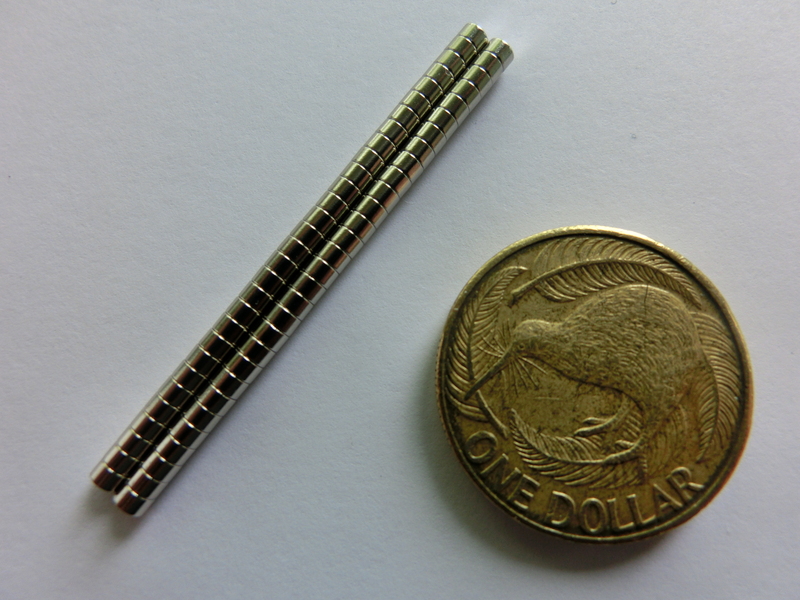 • About 10 times more pull than the traditional, grey, ferrite type of magnet. • Tiny latches and closures. • Warhammer etc. Attaching parts of models, or for movement trays. • For credit cards, and other sensitive device, keep say 5mm away. • You're welcome to change your order to 2 half-packs &/or add other half packs. Just ask.